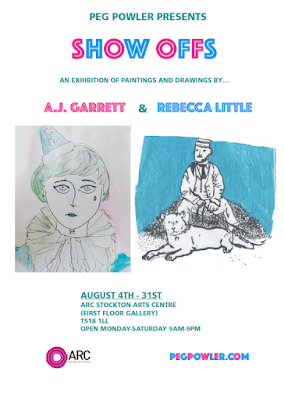 Long running Stockton based DIY arts gang Peg Powler are back with a show featuring the art of club founders AJ and Rebecca. Clown art, performing animals, and trying your best are the themes. 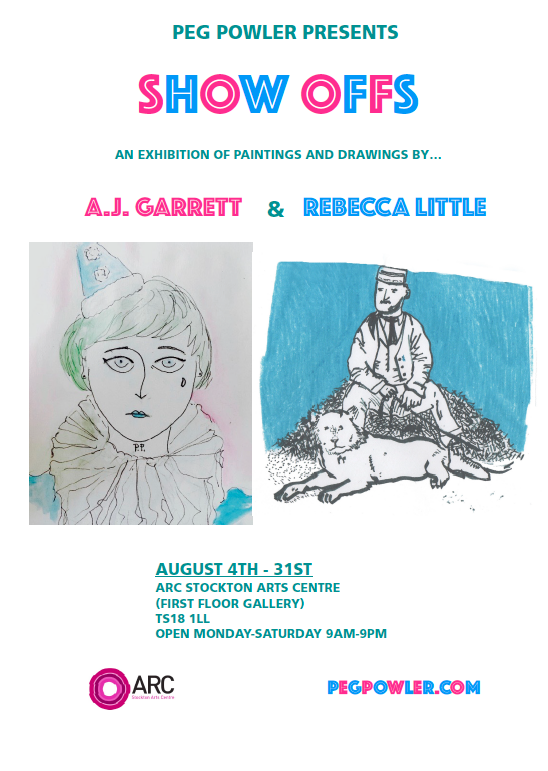 AJ and Rebecca have been knocking around for ages, and have curated acclaimed shows in the past featuring loads of artists including Nuala C. Murphy and Shaun Elliott. The PP principals are as follows… Against boredom, pretence, stressing out, and barriers. In support of fun, figurative painting and drawing, expressing yourself, and things you don’t see all the time.